How to Know Your Wedding Venue is "The One" | "DiBurros"
Everyone knows the feeling, when your heart flutters and you can’t stop smiling; the feeling you get when you’ve fallen in love… with a wedding venue. Okay, so maybe you won’t feel the same way as you did when you fell for your future spouse, but there are certain hints that will let you know if your wedding venue is “The One”. If your first thought when you see the venue is “wow, we could take amazing pictures here”, than it could definitely be the one. Seeing pictures of an historic venue can often be the final push that many couples need to finalise the location of their wedding. Venues often times have pictures on their website that will show you how previous couples have used the venue to take their wedding photos. Reading wedding venue reviews can be a very daunting task, however, they can offer a lot of insight when it comes to choosing the perfect venue. If most of, or all of their reviews are positive, then that venue could be the perfect one for your big day! Are you looking for a super-formal ballroom style, or more of a laid back barn style? 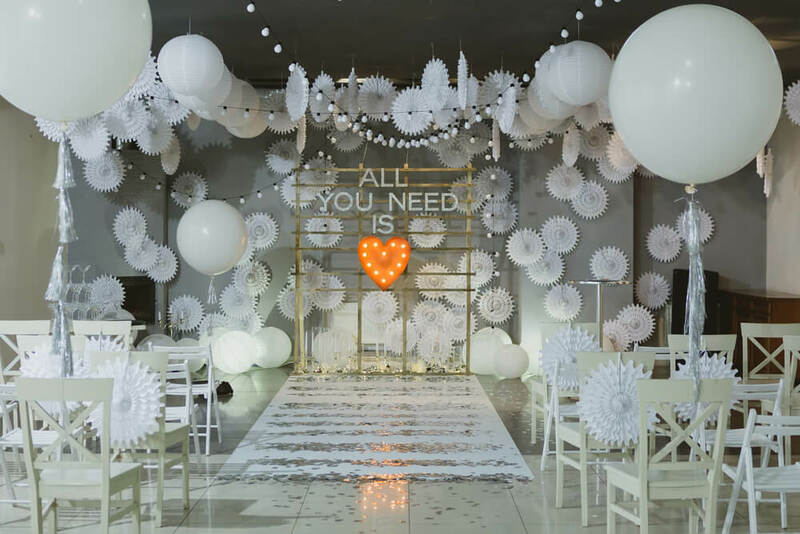 No matter what you’re looking for, fitting your venue to your style will make it easier to plan your wedding. If you find a venue that reflects you and your spouse’s style, it could be the one! While you may not have an exact guest count yet, you should have an estimate in mind before visiting venues. If a venue is able to hold your estimated amount of guests or more, definitely keep it in mind! Finding the perfect wedding venue doesn’t stop at the location and appearance of it, you’ll also want to meet the staff that will be working on your big day. You will be spending a lot of time with the on-site venue coordinators. If they are easy to get along with and trusting, the venue could be perfect for you! A budget should definitely be set before looking at venues. If you find a venue that you like, that is also within your budget, add it to the list! A budget is usually a big factor when it comes to choosing a wedding venue, and if you find one that’s affordable, it could end up being the one!